Oh Internet... I miss having you at home! Saturday I missed the cable company's call (why in the world was my phone on alarm only?!) for when they were supposed to visit. This is totally my fault, but even by then we'd been without it for a week. It will have been about 2 weeks by the time they can come again. Anyway, I just wanted to let you know that I haven't died. In fact, I have 3 posts written, photo'd, and ready to publish- except that they are on my home computer and I don't have Internet. 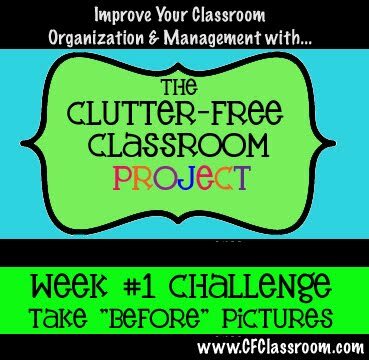 So, this week's Clutter-Free Classroom Challenge is to create your "rules" for organizing. When I've read posts like this in the past, I see a lot of people posting things like "If I haven't used it in two years, it's gone." Mine needs to be a little different. For one, I'm a new teacher- only in my own classroom for the 2nd year, so I don't have closets and closets of stuff. Plus, I will more than likely be moving in a few months, and who knows? I could teach kindergarten through 6th with my current license! I can't just throw out the more "primary" things because I'm in 3rd now, because I don't know if I could soon be in a younger classroom. - If it's a hand-me-down from another teacher that I don't use and just plain don't like, I must get rid of it. - If it's a decoration with no purpose other than decoration, unless I LOVE it, it needs to go. - Anything that might be of use to other teachers goes in the teacher's lounge before the trash. - If it's something that can only be organized in a "miscellaneous" category, it needs to go. - I can only keep one shelf's worth of "random containers for some later purpose." Yes, every teacher could have ten million of these- great containers you just can't stand to part with- but the crux of the matter is that I can't save them all. - Whenever possible, use the 15 minutes after school for tidying up or organizing something. A little time specifically set aside for it every day is bound to help me maintain the organization. - All containers in storage get labeled. It's not too late to join, if you'd like to organize your classroom and your teaching life! :) We're only a few baby steps in. Oh my goodness. Was it just me, or did the last week of school last about 500 years? By Friday, I was feeling tired- but we had an awesome afternoon that helped perk me up for the weekend. Monday: Watch BrainPop Jr. and make an anchor chart about explanatory writing. Tuesday: Together, write an explanatory writing piece on chart paper. Brainstorm out loud with partners. Wednesday: Review the elements of explanatory writing. Mime out making a sandwich. Write the first draft. Thursday: Finish first drafts and edit/ revise for at least 15 minutes. Friday: Publish onto special writing paper, adding illustrations in the time left. One student never told me to use a knife to spread the jelly, and another just told me to spread the peanut butter and jelly “on the bread” without having me get out pieces. Their favorite! One set of instructions never told me where to spread the peanut butter and jelly, so I put them on my face. At the end, I showed them how an alien enjoys their sandwich. Seriously, it was so much fun. They also learned some valuable lessons about how to be very, very specific when writing directions. In past years, I’ve also done this as “How to Brush Your Teeth” when I had a peanut allergy in the classroom. I promise, it’s still funny when you put the toothpaste on the wrong part of the toothbrush, or they don’t tell you to take the cap off of the toothpaste, or when you put the whole tube on top of the toothbrush and then try to fit it in your mouth. Next week, my students will get to write an explanatory piece of their choice, giving directions for how to do something. I’m excited to see how they improve! P.S... While you're picking up the freebie, maybe follow my TpT store? I plan on moving most of my freebies over there so I can see how many people download them, and at some point I'll probably try to make a unit or two to sell. But that's not going to happen until these grade cards are done! 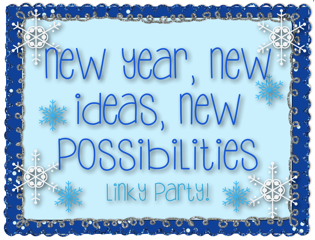 Linking up with Manic Monday at Classroom Freebies! Yes, I’m late posting this, but I wanted to share with you all today just how I know that my husband really listens. A giant Sharpie Magnum because, seriously, every teacher needs a trusty Sharpie or two and this thing is HUGE. Binder clips, which even Mr. Minimalist Husband said I could “probably never have too many of” in pretty, colorful designs even though they cost more, just because he knew I use them all the time and they’d make me happy. Ballpoint InkJoy pens because I specifically mentioned how I hated that none of my colorful gel pens (usually my preferred writing tool) could be used for writing responses in my kids’ reading notebooks because they bleed through the pages. Super Sticky Post-Its with lines because he knows I like to use bigger Post-Its for making lists. Oh, and the rest of my stocking gifts? A BIG bag of candy cane Kisses, KitKat, Peanut Butter M&Ms, and even the European strawberry chocolate I love. Basically, all of my favorites- even the seasonal or imported ones. And then he asked if I was going to take a picture of my stocking goodies that proved how well he knew me so I could brag to bloggy friends. Does he know me, or what? Starting the Clutter-Free Classroom Project- The Before Pictures! I read about some teachers' organization resolutions last week, and had to laugh. Some people have this natural affinity for organizing, and I just... don't. I never have. I was that kid whose desk was dumped over onto the floor by her teacher. I was that kid whose dad once took everything off her bedroom floor and took it away for two weeks. 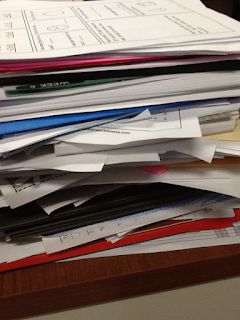 I still am that teacher whose class actually comments when there aren't piles on my desk. The thing is, I like when things are organized. And I have slowly found things that work for me in the classroom, but I've only been in my own room 2 years and I switched grade levels this year! 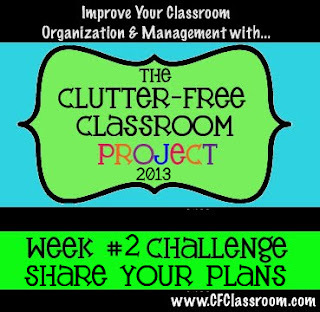 I've decided to take on the Clutter-Free Classroom Challenge for 2013, and it is scary. When you first walk into my classroom, it doesn't look that bad. The library needs some labels and some book box fixes, but overall, I don't think it'll take too much to get into shape. ... until you get to the sink area. The front of the room isn't too bad, other than a quickly dying carpet and some books to be put away. Behind the small group area is just a mess, though. Annnd the worst part of the room? My desk area. See that pile on the left? It was actually twice probably three times as high when I came back from break, but I cleared it away somewhat before remembering to bring in my camera. Both parts are a mess. And I forgot to get a picture of under the desk, which is just as terrible. But, hey, this week I was already able to clear off one giant pile! Look at the pretty desk space! There's, uh, a lot of room for progress... right? I'm embarrassed to put this out there, but, hey- it's part of the process. Maybe I need a little embarrassment as motivation :) I can't wait to show you the 'after'! 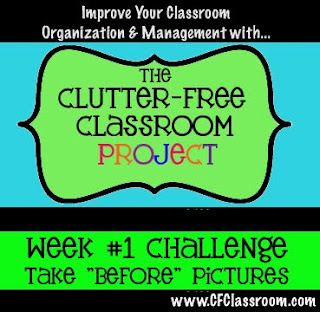 If you want to join the Clutter-Free Classroom Challenge, link up here! I'm excited to change the feel of my classroom, simplify my teaching life, and shop at Target and the Dollar Spot- I mean, be a better example to my students! So today, I walked into my classroom having not touched it since the 21st. I know some of you had that situation but can't help it, but ever since the 30th, I was able to come into school if I wanted to, and I didn't. In fact, I didn't even touch the mountain of grading I needed to catch up on until two days ago (and it's still only about half done). And it wasn't as bad as I remembered! VICTORY! Now, I still have a school To Do list about 3 miles long, but I don't really mind. I feel like I actually got a break. My husband knows- I always do this thing on a break where I relax a little, but not enough to feel relaxed and I get some things done, but not enough to feel accomplished. It leaves me in this awkward catch-22 where I didn't get enough of either thing- relaxation or productivity- and leaves me feeling worse than I started. This break, I finally did it. I took enough of a true stay-in-pajamas, watch-too-much-TV, eat-junk-food, just-plain-hang out break for it to actually feel like a break from work. And yet, I got enough done around the house (and enough quality time with loved ones) to not feel like the break was a total waste, either. Sure, my classroom is a pit. But when I came in today, I didn't have any regrets, and that's pretty darn amazing. As any teacher but especially a new teacher, I feel like it's so easy to let yourself constantly feel swamped, like there are a million things you HAVE to do. But I'm going to try to give myself one night a week that is just "off"- where I don't do anything school-related and don't feel a bit guilty, because man, this break felt wonderful. I hope you had a great day today!! How do you give yourself enough "me" time during the school year?